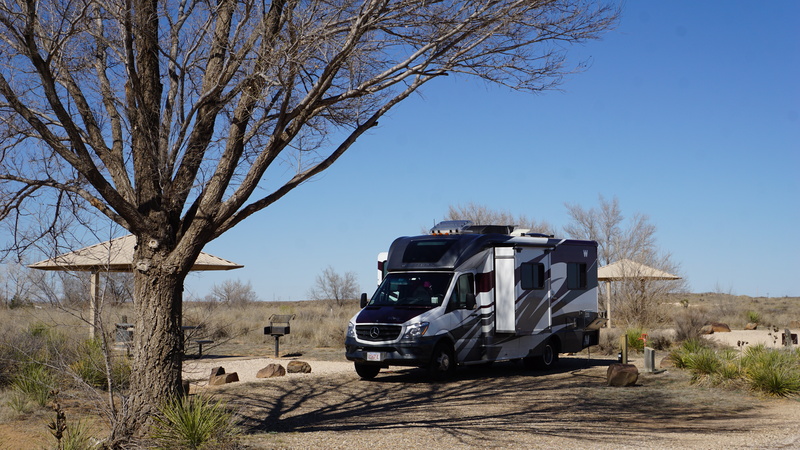 We spent an overnight stop over here on our way to Texas. 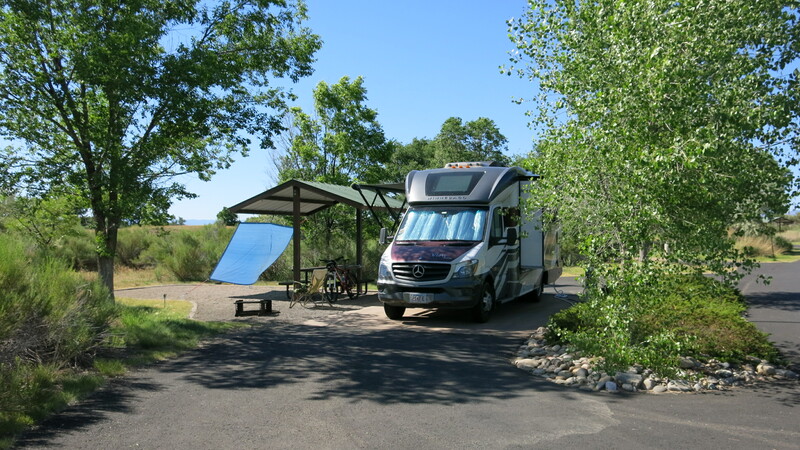 This is a very nice National Park campground. All sites are paved and have water and electricity. There is a dump station. The bath house is new. It has good cell service and on air TV reception. The price is right at $22. Would stay here again. I stayed here for 2 weeks in mid February. 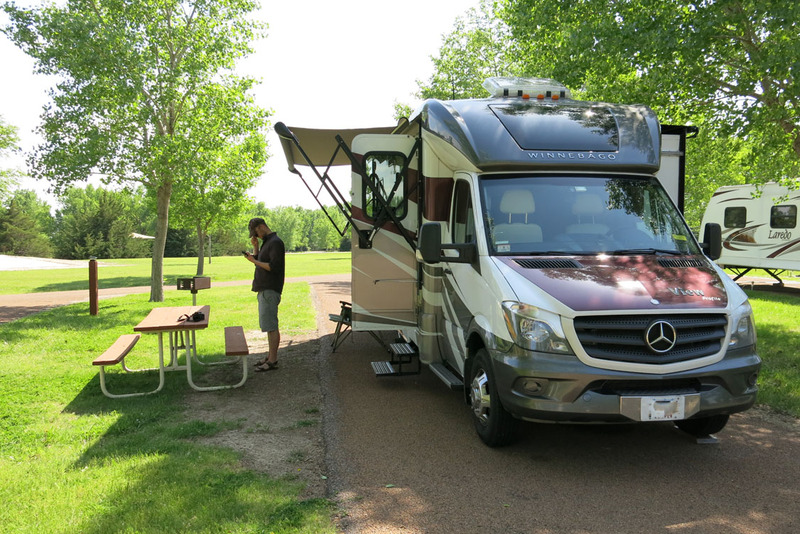 This is an RV park with several park model homes. The park is right on the ocean. The sites all have concrete pads, covered patios, and have full hookups, cable TV, and free wifi. We stayed during Daytona Speedweeks which increased our daily rate. They have nice laundry facilities and two pools. It can be cold during the winter months. It is close to restaurants and grocery stores at St. Augustine Beach. I stayed here for four nights while exploring Yellowstone National Park. I made reservations well in advance and the park was full each night I was there in early June. Sites are close together and set up more for tenters. Sites are not level, short, and are back in only. There's no hookups but there are water spigots in the camping area. Bath houses are rustic and basic. Showers are for fee and located in the campground office. There's also a laundry there and a dump station. They do allow generators in specific hours and are strict about it. It was ok and close the to the Canyon Village Visitor Center. I camped there in a Class B.
I stayed here for a couple of nights while visiting the Moab area. This place is pretty close to the town center. The RV sites have full hook-ups. Most are very close together and there are lots of overhanging trees. Also the turns are tight. Sites are pretty level and gravel. Its can be dusty here. The restroom was clean. They also have a laundry, store, and pool. Staff was very accommodating and let us pick our site. It was an ok place to stay. I've camped here on a couple of occasions in the Fall. Its located on the East End of Long Island about 3 miles west of Montauk. Its a nice state park with campsites right near the beach. The sites are in the open. Each site has a concrete pad for a picnic table or shelter. There are no hook ups. There is a dump station and water spigots are nearby. There are specific hours for running generators. The bath houses are small and basic. I rated this 4 stars because of the location. The East End is a nice destination to explore. There's the quaint East Hampton about 12 miles away and Montauk. There's plenty to see and do here. Its a pricey place for a state park at $56 per night for a non resident weekday and $64 per night for a weekend. I camped here in a class B motorhome. I camped here for 4 days in the spring of 2013. I camped in the Gulf Breeze section just a few steps from the ocean. St. Joseph Peninsula is a very remote area of Florida. The nearest town Port St. Joe, which is about 25 miles away. There is a small store a couple of miles before the park entrance but the major food store is in Port St. Joe. Its best to get your supplies before you arrive. The sites are hard packed coquina / gravel. They're fairly level. The sites have water and electric. There's a dump station nearby. The bath house is basic and kept clean. The dunes and beach are some of the best in the US. It can be windy here since it's out in the Gulf. Sunsets can be spectacular. It blew 15-20 mph while we were there. Cell service is spotty and there's no TV reception. I camped here in a Class B motorhome. I stayed here for one night while traveling across country. Its a few miles off I-80. 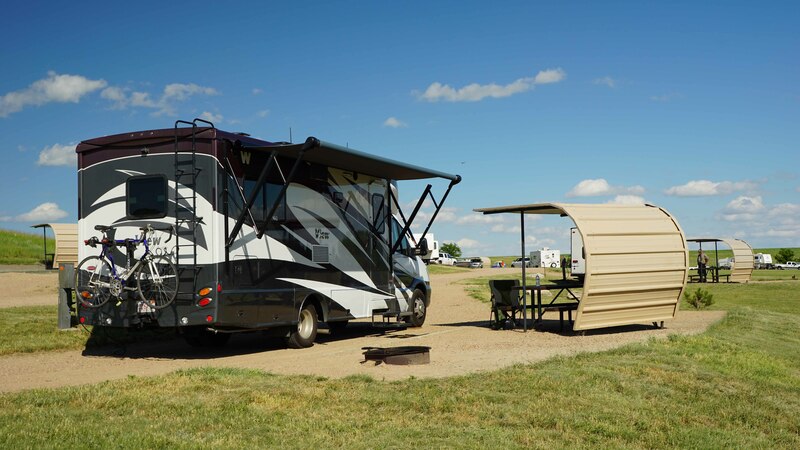 The campground is nicely laid out on the casino property with good space between sites. The sites have water and electricity. The bath house was clean and basic. There is a free shuttle to the casino that will pick up and deliver to your site. There is a free breakfast buffet for RV quests in the hotel. There is a good buffet and sports bar in the casino. There is a dump station in the back of the hotel. I camped here in a Class B RV.